Since the inception of the Rotary District project in 1994, Vale of Belvoir Rotary Club has annually provided financial support to enable schools to receive its programmes and this year is no exceptiion. 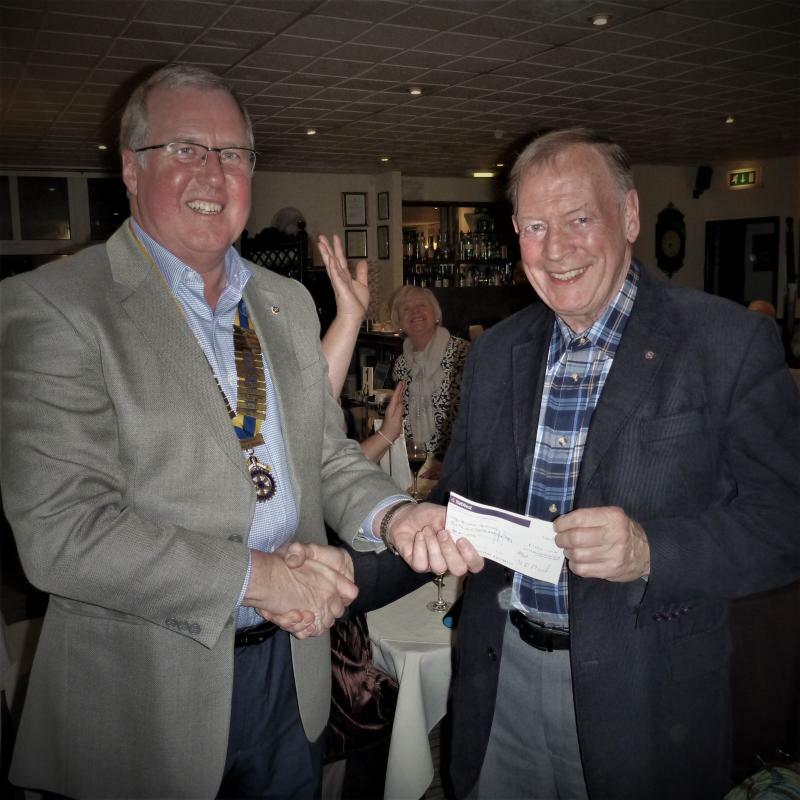 On Thursday 15th February 2018 President Adrian presented a cheque for £1250 to Bill Banner, company secretary and a founder member of The Vale of Belvoir Rotary Club. They are a delivery partner of Coram Life Education, the UK’s leading health and drug education organisation. 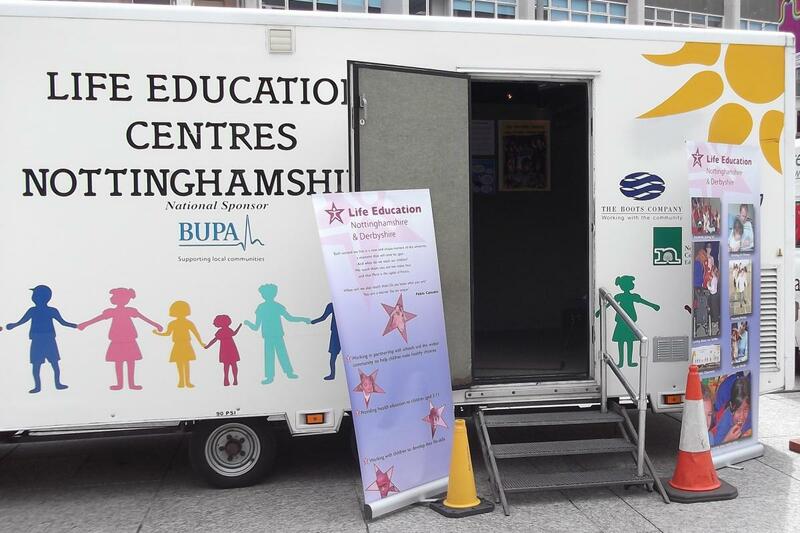 Bringing health and well-being learning to life, it has been delivering health and drug education programmes in Nottinghamshire and Derbyshire for over 23 years, and to over 300 schools. The regularly updated programmes have been created by child development experts to be stimuli-rich and interactive, and through puppetry, role play, and film clips the charity captures children’s imaginations and develop critical thinking and risk management skills. The sessions link with the National Curriculum so that the work can be integrated and continued through a school’s PSHE programme of study. In addition to the mobile classroom sessions they also run school-based sessions; internet safety workshops for KS2, and drug education workshops for KS3. Delivered as part of PSHE or Science, this programme incorporates puberty lessons and helps schools meet their SMSC development, safeguarding, and emotional wellbeing requirements. The Relationships Education resources are included as part of the SCARF On-line subscription, but are also offered as educator-delivered interactive sessions by Life Education Centre Nottinghamshire, a delivery partner of Coram Life Education. They also offer a variety of four to eight week courses for parents/carers and their children (Family SEAL Primary and Transition) and courses just for parents/carers and grandparents focusing on Parenting skills, covering issues such as behaviour management, health and well-being, and managing stress. “Behaviour and Safety Workshops” are a set of three inset programmes focusing on issues such as increasing good behaviour, reducing conflict and tackling bullying in schools. These sessions have proved particularly popular with Lunchtime Supervisors and Teaching Assistants. The sessions take place on the school site, last about 90 minutes and can take place at a time to suit the school.